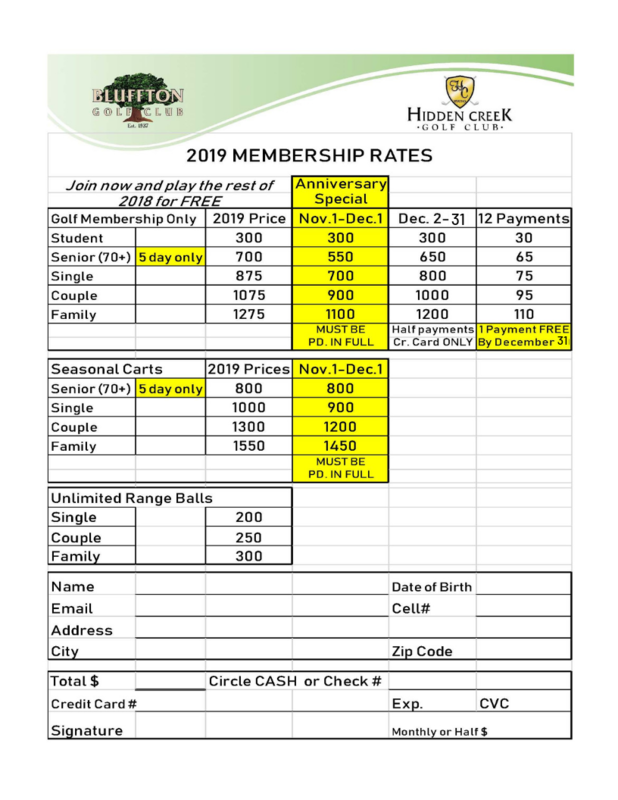 All Memberships are for entire 2019 Season. The only Payment Plans we have available are by Auto Credit Card Charge. You will be charged for accrued months at the time of signup, then Auto Billing begins the next month. **Contact us for more information by email or phone (419-643-8562).